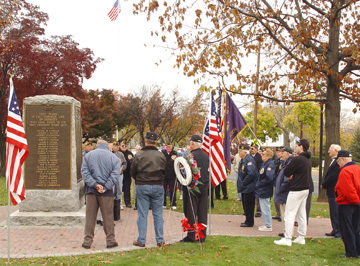 On Tuesday, November 11 at Memorial Park, a brief service was held at 11 a.m.. 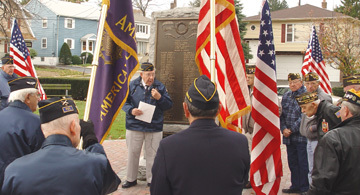 The service was led by the Amercan Legion Comander Mike Cahill, prayers were said by the chaplain and Gil Hunt provided the closing prayer. 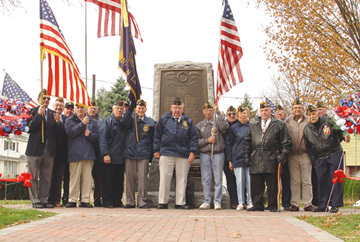 The annual program is co-sponsored by the VFW Post 4591 and the American Legion. Origins: In 1921, an unknown World War I American soldier was buried in Arlington National Cemetery. Similar ceremonies occurred earlier in England and France, where an unknown soldier was buried in each nations highest place of honor (in England, Westminster Abbey; in France, the Arc de Triomphe). 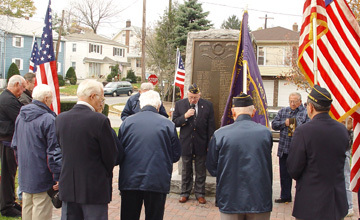 These memorial services took place on November 11, the anniversary of the end of World War I at 11:00 a.m., November 11, 1918 (the 11th hour of the 11th day of the 11th month), which became known as Armistice Day. 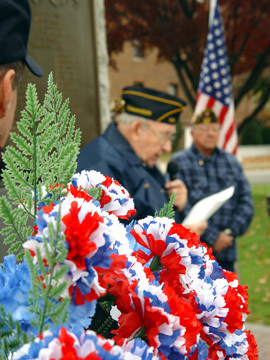 Armistice Day officially became a holiday in the United States in 1926, and a national holiday 12 years later. 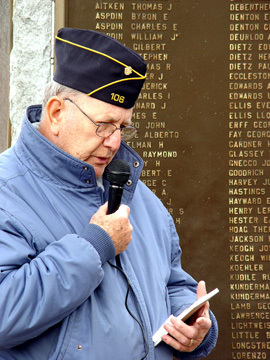 On June 1, 1954, the name was changed to Veterans Day to honor all U.S. veterans. 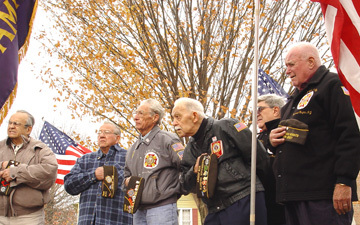 In 1968, new legislation changed the national commemoration of Veterans Day to the fourth Monday in October. It soon became apparent, however, that November 11 was a date of historic significance to many Americans. Therefore, in 1978 Congress returned the observance to its traditional date. 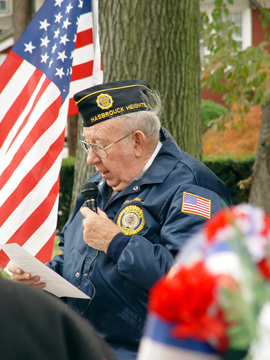 Official, national ceremonies for Veterans Day center around the Tomb of the Unknowns. To honor these men, symbolic of all Americans who gave their lives in all wars, an Army honor guard, the 3d U.S. Infantry (The Old Guard), keeps day and night vigil. Barry Botsford came up from the shore for this ceremony. 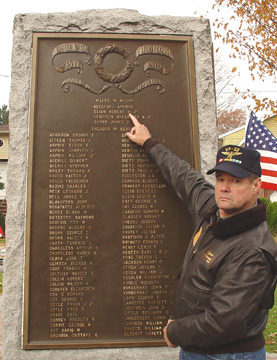 He is pointing to his grandfather's name (Arnold Botsford) on the World War I section of the memorial.